As of 12:01am on Friday (July 6) morning, the trade war between the United States and China began in earnest. The American government began to collect tariffs on $34 billion worth of goods, which was immediately followed by the Chinese government’s equivalent response of tariffs on 545 goods including beer, seafood, dairy and automobiles. The tariffs are the culmination of months of threats by President Trump to combat what he perceives to be unfair Chinese trade practices with the full force of the U.S. government and vows from the Chinese government that they would respond in kind to protect China’s interests. Speaking after both countries had imposed tariffs, Chinese Premier Li Keqiang stressed that China’s tariffs were a defensive response. “China would never start a trade war but if any party resorts to an increase of tariffs then China will take measures in response to protect development interests,” he said. The United States is expected to impose additional tariffs on another $16 billion worth of Chinese products later this summer, an escalation that some assert could harm the interests of both nations. 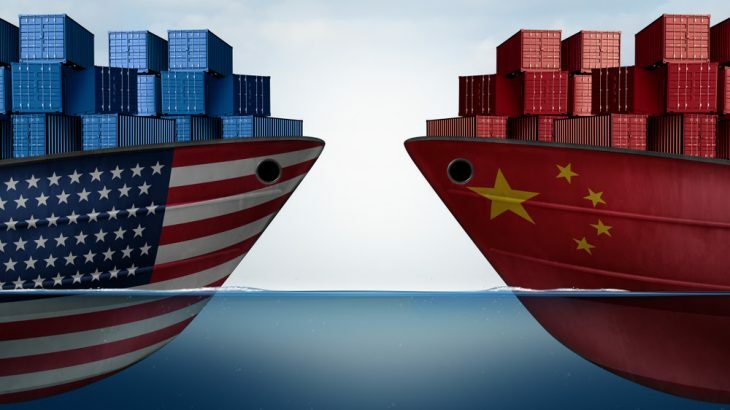 Should the U.S. continue to increase the value of tariffs, as President Trump has warned, some commentators have questioned whether the Chinese government would begin to target American businesses operating in China. Ministry of Commerce spokesman Gao Feng denied this was part of Beijing’s strategy. “As for possible impacts on businesses from the trade war initiated by the United States, we will keep assessing the situation and make efforts to help [foreign] businesses to mitigate any possible impacts,” he said. With both sides digging in, it appears there will be no quick end to the trade tensions between the U.S. and China. Finance, Politics tariff, Trade, Trade war. permalink.